A Beautiful Ruckus: Just Between Friends Consignment Sale + A Giveaway! Just Between Friends Consignment Sale + A Giveaway! I love consignment sales. Love them. I can't imagine what moms did prior to these becoming popular, because paying retail prices for kids clothing is so expensive! Every spring and fall, the consignment season is in full swing in Kansas City. There are many different sales all over the metro, but I make a point of putting two on my calendar as can't miss events. One is the sale that my multiples group puts on, and the other is the Just Between Friends-Lee's Summit Sale. We do ALL of our kids shopping at these two sales: clothes, shoes, birthday and Christmas gifts, kid movies, coats, random extra kid stuff, etc. And yes, I do manage to find just about everything I need for four kids who are the same size this way. Why do we do this? While, it's true that we don't have the income level to buy everything new, a better question is, why wouldn't we? It's brilliantly set-up. I can do all of my shopping, for an entire season, in one place, for pennies on the dollar. It's just smart shopping! 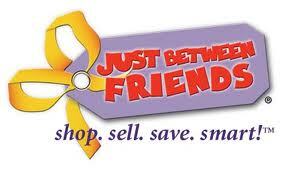 I'm a huge fan of the Just Between Friends (JBF) Sale because of the massive selection that they have. I was originally introduced to it by a twin mom friend just after my kids were born. Holy moley. It was like being set loose in a chocolate store. Everything I could ever need was right there...and it was affordable! Moms of Multiples <---this is the one I sign up for!! And if you don't fit any of those categories, they do have an additional Friday presale available that anyone can shop for a $10 admission fee. The sale runs through Tuesday with many items being discounted to 25% and 50% off the last two days of the sale. You can find preemie through size 16 clothing items, in addition to maternity clothes. This event goes on my calendar every spring and summer, and I enter the doors armed with a long list, my kids feet traced onto cardstock (to measure for shoe sizes! ), and a friend for company. I'd love to see you there! This time, I'll be starting in the shoe section looking for lots of sandals to get us through the summer. Last week, Just Between Friends-Lee's Summit emailed me to see if I wanted to give away a Media Pass and a $25 gift certificate to one of my readers for their upcoming spring/summer sale February 16th-19th. Of course, I said yes! This is a sale I personally shop, enjoy, and find extremely valuable, and I think you will too! Because of how quickly the sale is coming up, this giveaway has a relatively short time frame. If you win, the Media Pass and gift certificate will only be valid at the Lee's Summit location during the spring/summer sale dates in February 2013. The Media Pass will allow you to get into the Media Presale that is open on Friday, February 15th from 10am-6pm. You may use the gift certificate anytime during that presale or over the rest of the weekend. After that, it will be void. Please use the Rafflecopter giveaway below to enter. The first two tasks are not optional and must be completed to qualify for this giveaway. If you choose the "anonymous option" to comment, please at least include your first name and first letter of your last name. It's next to impossible to verify comment entries without names! The additional entry tasks are optional. Winning entries will be validated prior to announcing the winner with an alternate drawn if the entries cannot be verified. The contest ends at 11:59pm on Wednesday, January 30th. The winner will be announced and contacted by email on Thursday, January 31st. The winner will have 24 hours to respond to the email with their information so that the prize can be forwarded to them. A Beautiful Ruckus is not responsible for the delivery of the prize and is not responsible if the sponsor does not deliver. This giveaway is open to residents of the United States. A Beautiful Ruckus received a presale pass and gift certificate in exchange for posting this giveaway. For further information, please see my disclaimer page. Isabelle probably would benefit most from some new shoes. She gets a lot of clothes from her cousins, but the shoes get worn out and her feet are growing faster than her girl cousin 2 years older! Lincoln has outgrown his 18-24 month clothes way sooner than I expected - I will be searching for clothes this consignment season! I'd check out the girls clothes. I'm headed for the toddler clothes! I love this sale! We're working on baby number 2 so I'll be shopping for a bassinet and a couple of other items that we borrowed when my daughter was born. Also, shopping for new clothes for her! I cant wait! With the new baby coming, this will be perfect for gathering the last few things we need! Love JBF! It depends on what I need most where I beeline. This year it will be outdoor toys. I love JBF and am looking to purchase a travel system before August!!! I LOVE JBF!!! The first thing I will be shopping for this time will be clothes! My boys are growing WAY too fast!!! Christi B. Shoes! Grace has outgrown hers so will buying lots at JBF! Love these sales! I already have my list ready! I have never been to a JBF sale, but it sounds great! I would definitely check out summer clothes, musical instrument toys, DVDs and books. -Rustie D.